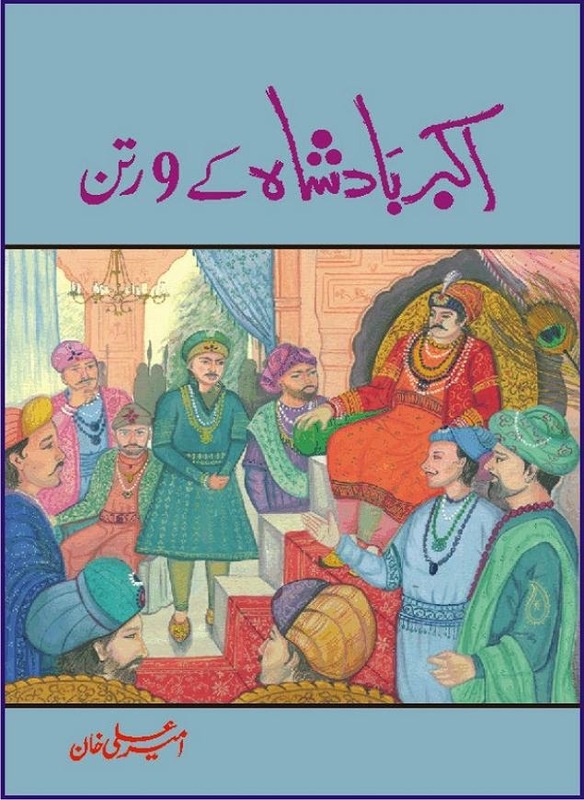 Nine Gems of Royal Court of Akbar Emperor, Research Work on Indian History, Compilation by Ameer Ali Khan, Life History of Famous Ministers Officials Advisors of Akbar The Great Royal Court, Popular Mughal Emperor of India, Muslim Ruler gave powerful seats to non-muslims, Hindu and Sikh Ministers of Akbar Emperor, Raja Birbal (Beer Bar), Raja Man Singh, Raja Todar Mal, Sheikh Abu-ul-Fazal, Sheikh Abul Faizi Fayyazi, MirzaAziz Kokaltash, Sheikh Mubarak Ullah, Sheikh Abdul Qadir Badayuni, Mirza Abur Rahim Khan-e-Khanan, Munam Khan, Interesting Book on famous Navratan of Akbar-e-Azam (Nine Gems of Akbar Emperor Court, Mughal Emperor Akbar The Great, Nav Ratna (Nine Jewels of the Mogul Crown), Inner Council of Nine Wise Advisors, Courtiers of Akbar, Urdu ebooks publisher. Many famous emperors in India had courtiers labeled in similar ways. For example, the valuable members of the court of Krishna Deva Raya were termed Astadiggajas, the eight giants. Lakshman Sen the ruler of the Sena Empire had Pancharatnas (meaning 5 gems) in his court; one of whom is believed to be Jayadeva, the famous Sanskrit poet and author of Gita Govinda. Ashtapradhan was the title given to the council of Shivaji. Shaikh Abu al-Fazal ibn Mubarak (Persian: ابو الفضل‎) also known as Abu'l-Fazl, Abu'l Fadl and Abu'l-Fadl 'Allami (1551 – 12 August 1602) was the vizier of the great Mughal emperor Akbar, and author of the Akbarnama, the official history of Akbar's reign in three volumes, (the third volume is known as the Ain-i-Akbari) and a Persian translation of the Bible. He was also one of the Nine Jewels (Hindi: Navaratnas) of Akbar's royal court and the brother of Faizi, the poet laureate of emperor Akbar. Khanzada Mirza Khan Abdul Rahim Khan-e-Khana (17 December 1556 – 1626) (Hindi: अब्दुल रहीम ख़ान-ए-ख़ाना, Urdu: عبدالرحيم خان خانان), also known as Rahim (रहीम, رحیم) was a poet who lived during the rule of Mughal emperor Akbar. He was one of the nine important ministers (dewan) in his court, also known as the Navaratnas. Rahim is known for his Hindi couplets and his books onastrology. The village of Khankhana, which is named after him, is located in the Nawanshahr district of the state of Punjab, India. Rahim was son of Bairam Khan, Akbar's trusted guardian and mentor, who was of Turkic ancestry. When Humayun returned to India from his exile, he asked his nobles to forge matrimonial alliances with various zamindars and feudal lords across the nation. Humayun married the elder daughter of Jamal Khan of Mewat (present Mewat district of Haryana) and he asked Bairam Khan to marry the younger daughter. After Babar's death, his successor, Humayun, in 1513 was supplanted as ruler by the Pathan Sher Shah Suri, who, in 1545, was followed by Islam Shah. During the reign of the latter a battle was fought and lost by the emperor's troops at Firozpur, in Mewat. However, Islam Shah did not lose his hold on power. Adil Shah, the third of the Pathan interlopers, who succeeded Islam Shah in 1552, had to contend for the empire with Humayun. In these struggles for the restoration of Babar's dynasty Khanzadas apparently do not figure at all. Humayun seems to have conciliated them by marrying the elder daughter of Jamal Khan, nephew of Babar's opponent, Hasan Khan, and by requiring his minister, Bairam Khan, to marry the younger daughter of the same Mewatti. Khanzadahs, the royal family of Muslim Jadon (also spelt as Jadaun) Rajputs, accepted Islam on their association with the Sufisaints. Khanzadah, the Persian form of the Rajputana word 'Rajput', is the title of the great representatives of the ancient Jadubansi royal Rajput family, descendants of Krishna and therefore of Lunar Dynasty. They are the Mewatti Chiefs of the Persian historians, who were the representatives of the ancient Lords of Mewat. Abdul Rahim was born in Lahore (now in Pakistan) to the daughter of Jamal Khan of Mewat. After Bairam Khan was murdered in Patan, Gujarat, his first wife and young Rahim were brought safely from Delhi to Ahmedabad and presented at the royal court of Akbar, who gave him the title of 'Mirza Khan', and subsequently married him to Mah Banu(MoonLady)sister of Mirza Aziz Kokah, son of Ataga Khan, a noted Mughal noble. Later, Bairam Khan's second wife, Salima Sultan Begum (Abdul's stepmother) married her cousin, Akbar, which made Abdul Rahim Khan-e-Khan also his stepson, and later he became one of his nine prominent ministers, the Navaratnas, or nine gems. Although a Muslim by birth, Rahim was a devotee of Lord Krishna and wrote poetry dedicated to him. ज्यों ज्यों कर ऊंच्यो करो, त्यों त्यों निचे नैन"
Birbal (IPA: [biːrbəl]; born Mahesh Das; 1528–1586) or Rajah Birbar, was a Brahmin advisor in the court of the Mughal emperorAkbar. Birbal had a close association with the emperor, being part of his group of courtiers called the navaratna or nine jewels. Birbal is mostly remembered in folk tales, which focus on his wit. In 1586, he led an army to crush an unrest in the north-west Indian subcontinent, which failed tragically when he was killed along with many troops, in an ambush by the rebel tribe. Towards the end of Akbar's reign, local folk tales emerged involving his interactions with Akbar, portraying him as being extremely clever and witty. As the tales gained popularity in India, he became even more of a legendary figure. No evidence is present that Birbal, like how he is shown in the folk tales, influenced Akbar's beliefs, decisions and policies by his witticism. It was Akbar's religious tolerance, social liberalism and affection for him that was the cause of his success. Raja Todar Mal was born in Laharpur, Uttar Pradesh in a Hindu family, considered by historians as either Agarwal, Khatrior Kayastha, and rose to become the Finance Minister in Akbar's Darbar of the Mughal empire. Man Singh (Man Singh I) (December 21, 1550 – July 6, 1614) was the Kacchwaha King of Amber, a state later known as Jaipur. He was a trusted general of the Mughal emperor Akbar, who included him among the Navaratnas, or the 9(nava) gems(ratna) of the royal court. Faqir Aziao-Din (Faqir means sage or ascetic in Urdu) was a mystic and a chief advisor in emperor Akbar's court. Akbar regarded his advice in high esteem and included him among the nine gems of his court, or Navratnas. He used to give Akbar advice on religious matters. Mian Tansen (born 1493 or 1506 as Ramtanu Pandey – died 1586 or 1589 as Tansen) was a prominent Hindustani classical music composer, musician and vocalist, known for a large number of compositions, and also an instrumentalist who popularised and improved the plucked rabab (of Central Asian origin). He was among the Navaratnas (nine jewels) at the court of the Mughal Emperor Jalal ud-din Akbar. Akbar gave him the title Mian, an honorific, meaning learned man.